BEAUTY BUZZ : EVER HEARD OF CHARCOAL, TOMATO AND SERUM SOAP? 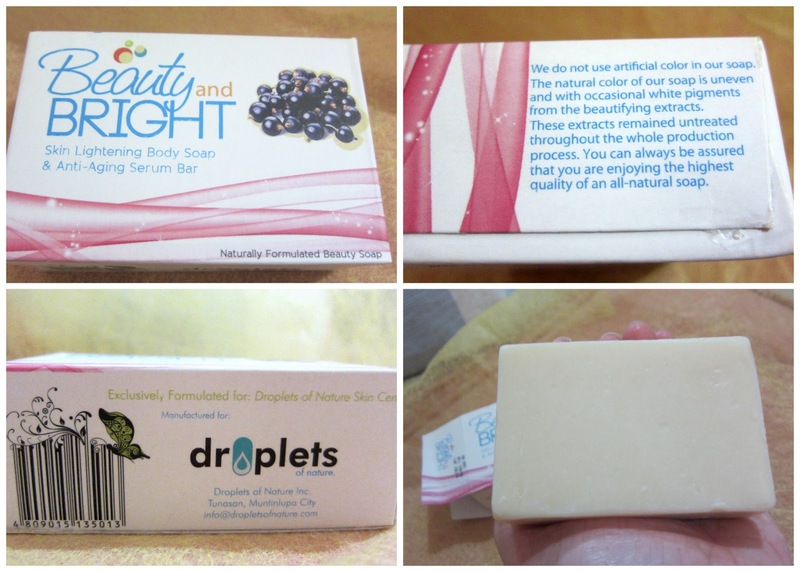 Gone are the days when beauty enthusiasts crave for polished and chemical infused soaps. With the 'go-natural' advocacy all over, I think we consumers get the message: "Natural products are pure hence a healthy option both for our skin and mother earth!" I've thought of coming up with three natural soaps I've tried so far. 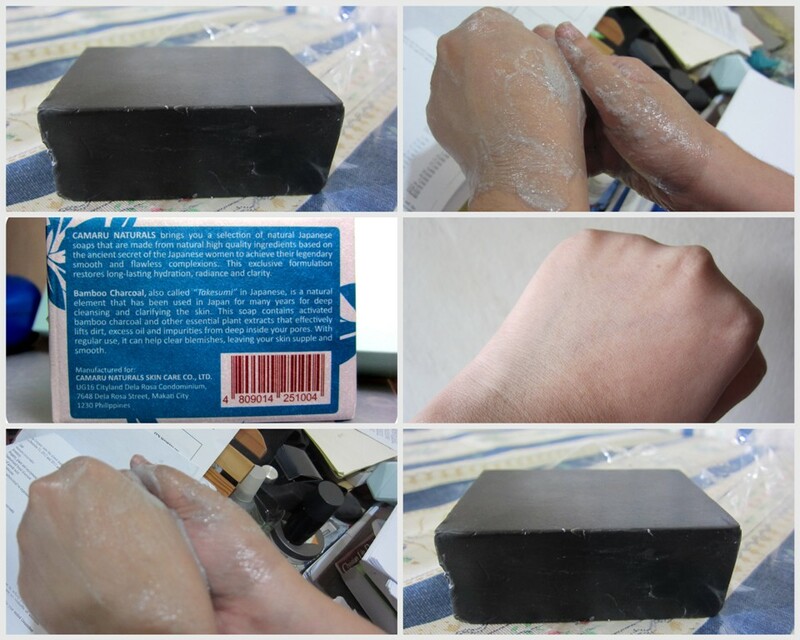 CAMARU NATURALS BAMBOO CHARCOAL SOAP. "Bamboo Charcoal also called "Takesumi" in Japanese is a natural element that has been used for deep cleansing..." so as the details shared. The minute I saw the big, black brick, curiosity bug bit me hard. If you'll notice, the suds exude black particles too. Click HERE for my full review. MIR & RYVI TOMATO SOAP. 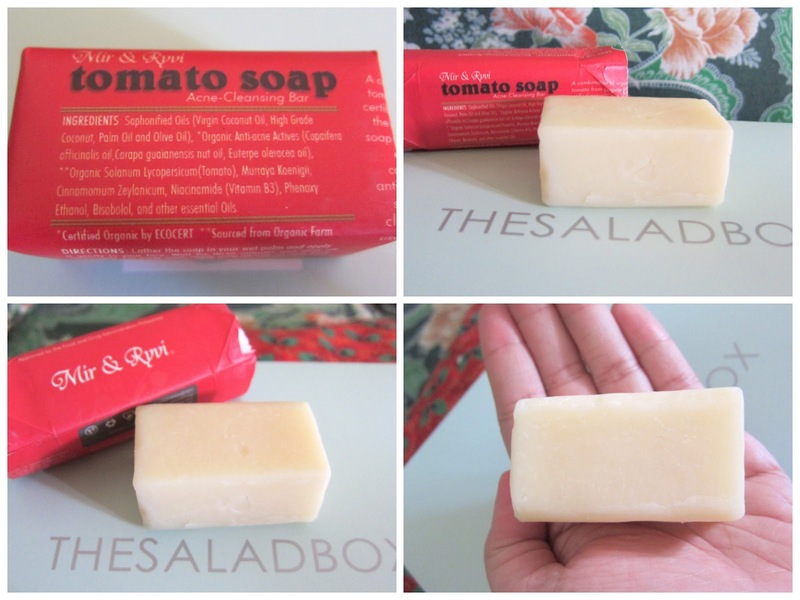 I'm familiar with tomato sauce, but tomato soap? Saladbox has included this to one of their boxes. It is a tiny soap this time. I've sniffed it a couple of times and noticed its scent-free. Then, I reckoned: "Wala namang amoy ang tomato, ha?" ☺It's an acne-cleansing bar. Thankfully, I have no acne so I've just used it to wash my face. Cleansing property is so-so but I noticed some level of smoothness after lathering them onto the area. This particular brand is one of other beauty subscription services. You'll notice they've also graced Glamourbox, among others. I'm interested to try their banana variety. Very edible selections! What about anti-aging and serum soap? BEAUTY AND BRIGHT WHITENING & ANTI-AGING SERUM. 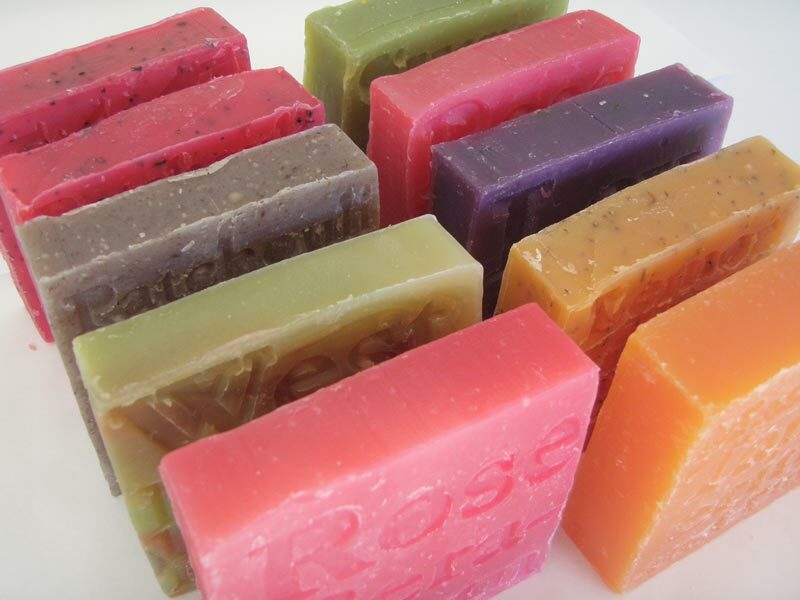 This is one of the pioneers in natural soap boom! I like that they have a chunkier cut paving way for prolonged usage. Serums cost quite a few among all beauty products. They're known for being ultra-concentrated. I think women within 20's and early 30's can have a soft start by using natural soaps like this. Check out my detailed thoughts about this soap by clicking HERE. Word of caution though. You need to weigh the + and - of using natural soaps. Currently, I am sticking for conventional soaps in terms of cleansing (germicidal soaps). Other than that, I am all for natural products. 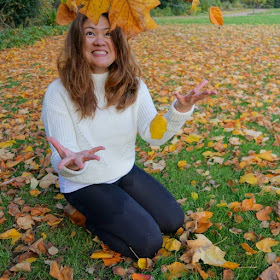 It's nice that we're going back to nature after so many decades of being crazy over chemically-laden merchandise. haha. right Miss K, a lot of natural soaps pop out today. I'm using oatmeal soap too like Tanaca and Spirulina, have you heard of them? And the charcoal soap was like Pond's Charcoal face wash. This is my first time to hear these kinds of products. It really made me interested. I wonder how it works on my skin. Just kinda concerned of the price.